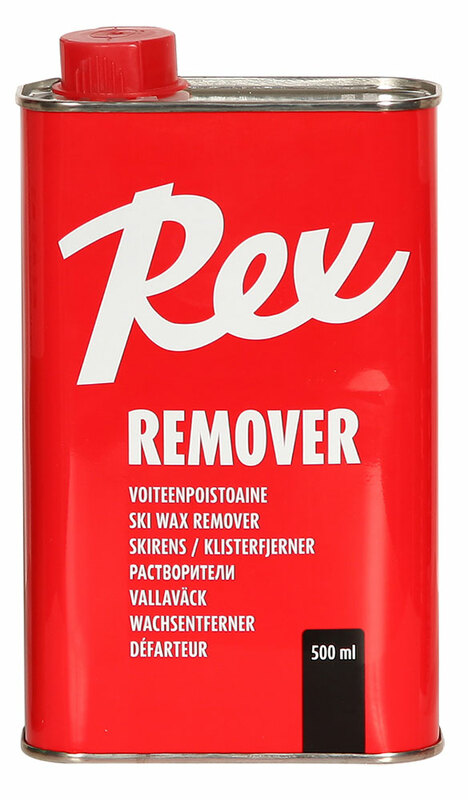 Rex offers a complete range of conditioners for all modern xc ski types, including mohair grip inserts (ie. SkinTec, SkinPro), ZERO, Nanogrip and Optigrip bases. Everything you need to keep your skis in top shape! NEW! Fluorinated 2-way glide surface cleaner/glider. Cleanses the base as well as Rex Remover, but without making the base turn gray and dry. Apply generously to cloth or fiberlene, wipe the base clean and let dry for 2-3. minutes. Brush well with a nylon brush. 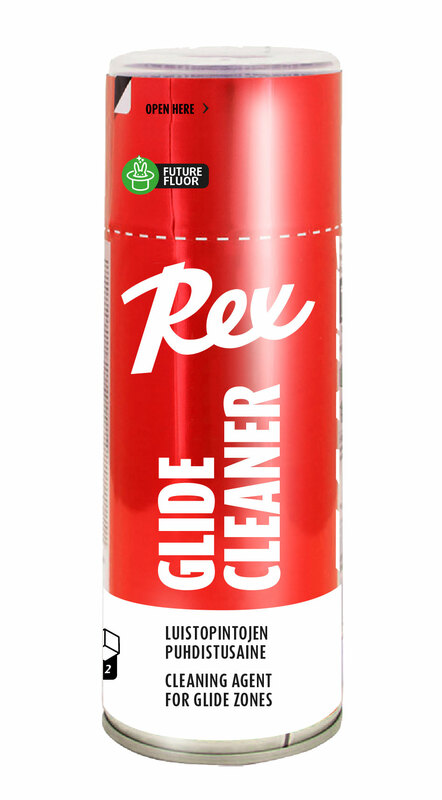 After treatment, Rex Glide Cleaner leaves a very hard and thin layer of glide wax, that acts as an excellent binder for both liquid and solid paraffin waxes. 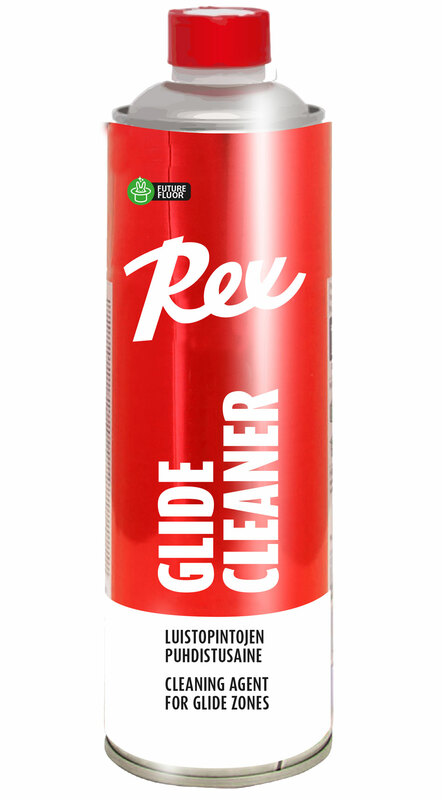 Always start a new glide waxing by cleaning with Rex Glide Cleaner. It will make the attachment and durability of sequent wax layers considerably better. Glides well even on its own on dirty and artificial snow, that is usually found in ski tunnels. Effective cleaner for all skin skis. Safe for all manufacturers' mohair inserts. Hydrocarbon-free, does not weaken the glue of the insert. After treatment, apply Rex Skin Care spray or Hydrex 2 fluoro liquid to enhance the glide properties and dirt repellency of the grip zone. Чистящее и грязеотталкивающее средство, улучшающее скольжение, для лыж с мохеровыми вставками. Не содержит углеводородов, не наносит вред мохеровой вставке рукоятки. Содержит фтор. Available in various packaging sizes: 100 ml, 500 ml, 3000 ml. 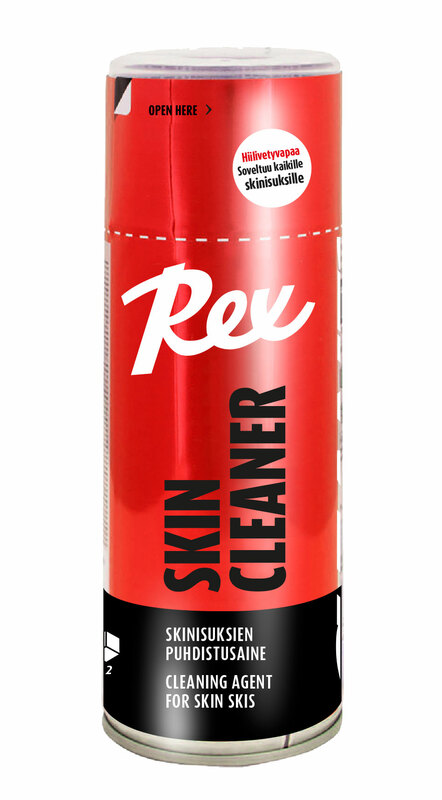 Rex Remover in a handy 100 ml spray packaging. Новый фтористый продукт для обработки лыж PELTONEN Nanogrip, а также зоны держания лыж No Wax, не требующих смазки держания. Предотвращает подмерзание снега и улучшает скольжение. Жидкость для базовой подготовки лыж. Universal glide spray containing silicone and wax. For ZERO and step grip bases. Фторированное моющее средство для скользящих поверхностей перед нанесением новой мази скольжения. Не содержит углеводорода. Не сушит основу, оставляет хорошую поверхность для нанесения нового воска. Rex Anti-Ice is designed for Nanogrip, Optigrip and no-wax bases to proven icing and improve glide.